Both Devices sports a unibody metal design with Fingerprint Scanner on Rear. On Display both has a 5.5-inch Full HD Display. Zenfone 3 Zoom is powered by a 2GHz Octa-Core Snapdragon 625 14nm processor whereas Cool 1 is powered by a 1.8GHz Octa-Core Snapdragon 652 processor. 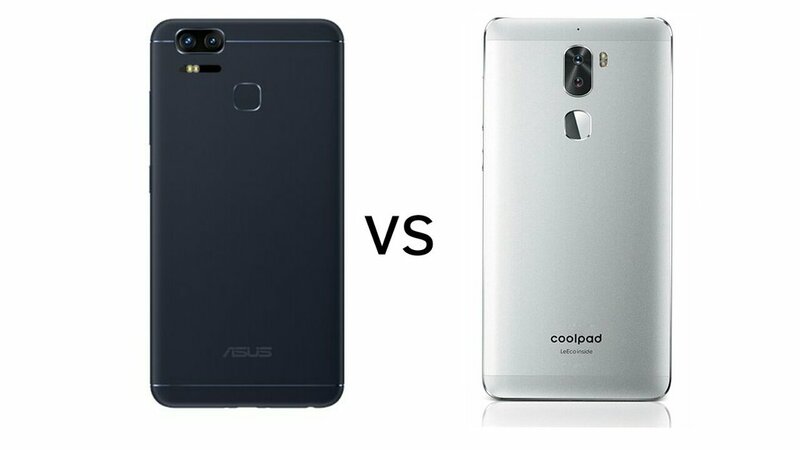 On Battery Zenfone 3 Zoom is packed with a 5000mAh battery whereas Cool 1 has a 4060mAh battery. Asus Zenfone 3 Zoom comes in Glacier Silver, Sapphire Black and Rose Gold colors and will roll out starting from February 2017. Coolpad Cool 1 comes in Gold, Silver and Rose Gold colors and is priced at Rs 13,999 for 4GB RAM and 64GB ROM model in India. 1099 yuan for 3GB RAM with 32GB storage version, 1499 yuan for the 4GB RAM with 32GB storage version and the 4GB RAM with 64GB storage costs 1699 yuan.